So far this has been a very laid back weekend and that’s alright with me because I’ve had a case of the blahs with so much going on at work and outside of work. I did get in a 5-mile run that went fine in my new shoes thankfully. 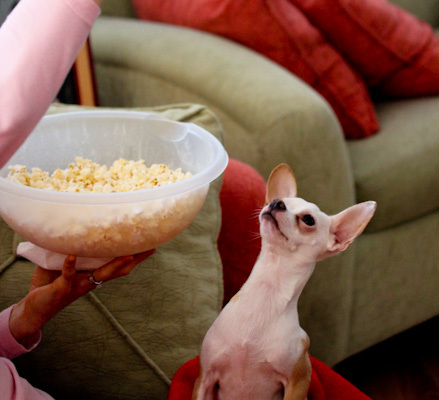 And I snacked on popcorn flavored with coconut oil, liquid stevia, and PlantFusion Vanilla protein powder which Miko really wanted to share with me. He wasn’t happy when I explained popcorn is a choking hazard for dogs. 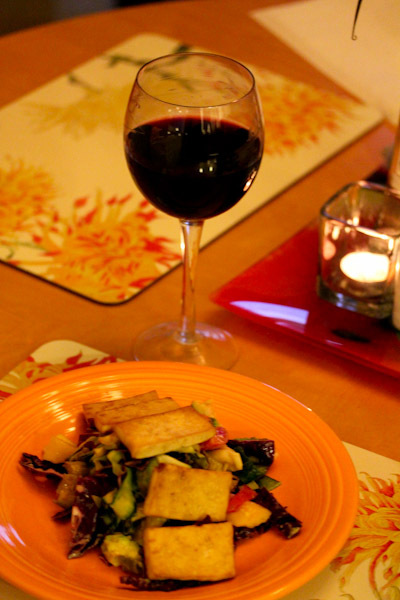 And I had a lovely baked tofu salad with lemon tahini dressing. 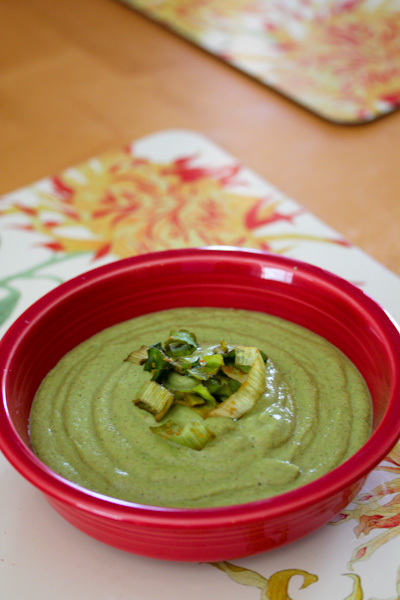 I also had another success in creating a delicious raw broccoli recipe that’s fast and easy on the digestive system. Blend add ingredients in a high speed blender until smooth and creamy. Serve and enjoy. Makes 1 serving. Since hubby is not as much of a fan of raw soups as I am and they’re best eaten fresh, a lot of the recipes I create are single serving. But it can easily be doubled or served as a small, half-serving side dish. 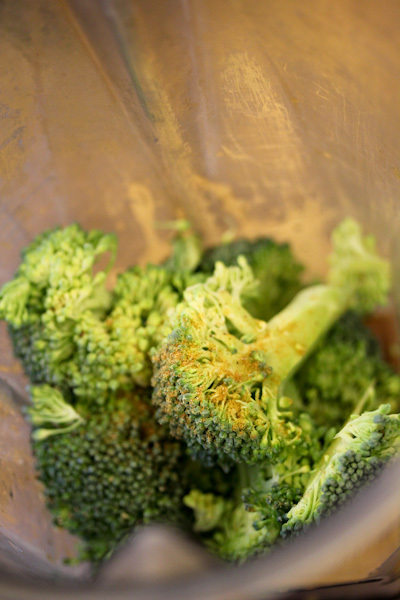 For me, raw broccoli can sometimes have a slightly bitter flavor and grainy texture that’s still present in some raw soup recipes. 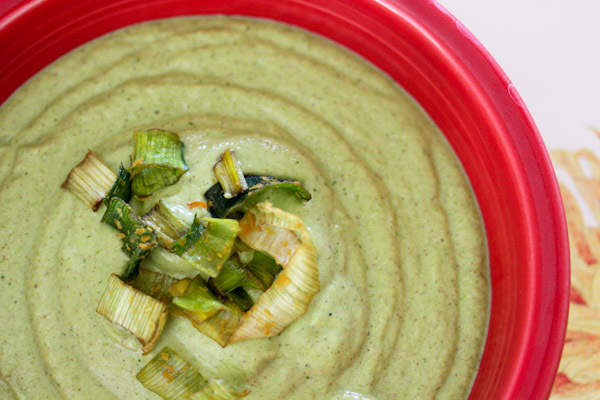 The combo of the avocado and almond butter in this recipe counter the broccoli texture while making it more of a satisfying soup. And the stevia was just the right amount to counter the bitterness because I did not pick that up at all in this soup. 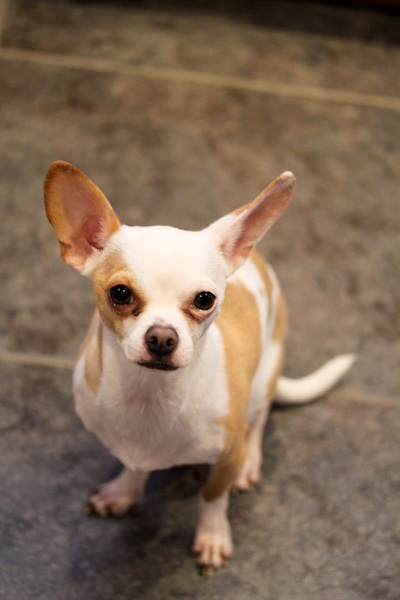 And, of course, Miko begged for it while I was creating in the kitchen. 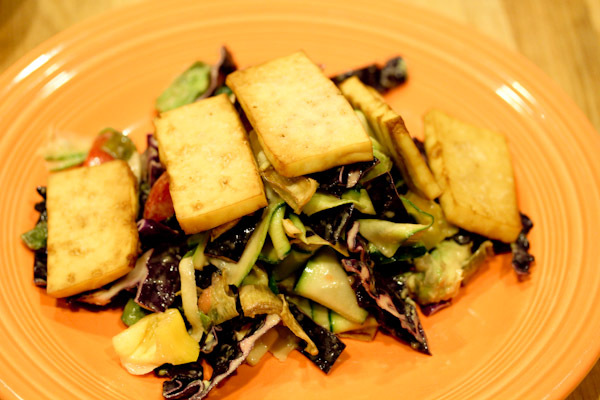 It looks great and so does the tofu. Very true on single serving, I usually end up converting them to single servings since I’m the only one having it. Excellent recipe! Well combined and I am so glad you used Stevia. Yum all around.